A 1960s Scandinavian red glass vase with three moulded rings produced by Riihimaki of Finland. Good condition, no chips, nicks or staining. The rim has a couple of small dimples from production and a couple of tiny scratches. 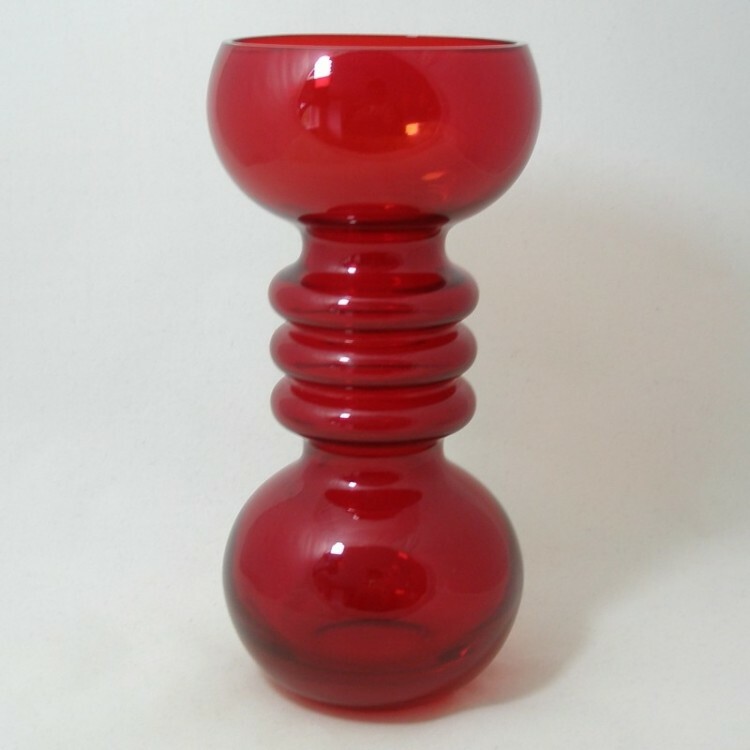 There is a very faint water line running down the outside of the vase that's quite hard to see. 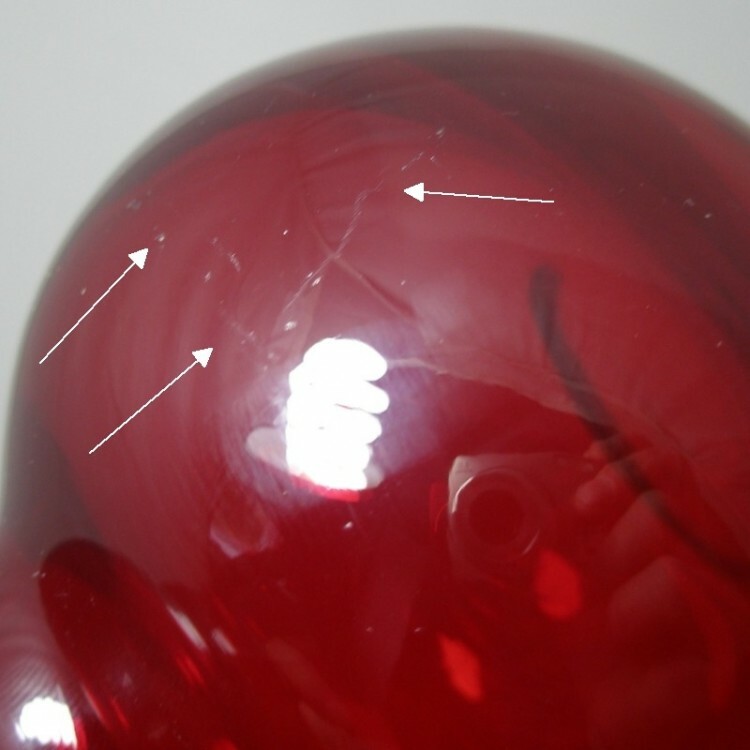 The lower part of the vase has a small encased air bubble and a there is a small area of scratches and scuffs (please see pictures).